If we now return to the statutes that “require” clean foods for salvation, then we must also demand fleshly circumcision and all the rest, for if you break one point of the Torah of Moses (the Law, Old Covenant) you have broken it all (James 2:10). And if we do that, then will you not again bring yourself under the Torah of Moses?, and no man is justified by his deeds under the Torah of Moses (Acts 13:39; Rom. 3:20, 28; Gal. 2:16, 3:11, 24). If you believe that we are saved by being justified under the Torah of Moses, “then the messiah died for nothing” (Gal. 2:21). Those who believe that we are justified by the Torah of Moses have “fallen from grace” (Gal. 5:6). We must walk as “uncircumcised” Abraham walked (Rom. 4:9-17; Gal. 3:5-9), not as the “circumcised” Jews under the Torah of Moses. Scriptures are pointing out that the conditions for salvation are the same for everyone. A person‘s salvation is not dependent on food issues, which are works of the flesh, whether the issues are those of clean or unclean meat, being a vegetarian or not, or whether one eats with unwashed hands, etc. Therefore, the only works from the written Torah of Moses concerning food that are still valid after the messiah‘s death are those part of the four dogmasin or public decrees announced at the Council of Jerusalem (49 C.E.) which were contained in the Abrahamic Covenants of Promise (Torah of Trust). All relevant laws incorporated in the Torah of Trust and predate the Torah of Moses remain in force and all other dogmasin or works of the flesh found in the Torah of Moses that are adverse to us have been nailed to the stake (Col. 2:11-16). The only command considered ”necessary“ in reference to the consumption of meat/food was that we are to abstain from eating anything offered to idols, from the eating blood or the eating of anything strangled. Notice that there is no instruction to abstain from any other types of food whether that food be clean or unclean. If such were ”necessary“ for salvation surely it would have been stated. The Scriptures are quite explicit in this regard. Another argument brought forward as evidence to support the idea that one’s salvation is dependent on their diet is the passage of Isaiah 65: 1-7. • First, to place things in context, the evidence presented in Parts 1 and 2 dismisses the notion that men were required to eat clean meat prior to the flood or even on Noah’s ark. The fact that animals were subdivided into clean and unclean in the pre-Flood world proves nothing, since vegetarianism was the standard. Neither can one argue that mankind was restricted to clean meat after the Flood. Gen. 9:3 clearly states that Yahweh gave permission for mankind to eat all types of animals, an understanding which was even confirmed by the diet conscious Hasidic Jews like Josephus and the author of Jubilees. There is no scriptural statement whatsoever that would prove that after the flood and prior to the time of the Torah of Moses mankind was restricted to eating clean meats. Animals are clean and unclean by their nature and, no doubt, Yahweh used these traits when he required the priestly nation of Israel to only eat and offer sacrifices and burnt offerings of clean animals. But such works of the flesh were accomplished to teach Israel that they should not consume unclean knowledge, only clean knowledge (e.g., Jer. 15:16; Ezek. 2:8, 3:1; Prov. 18:8, 23:6; 1 Cor. 10:3). It was also for this prophetic symbolism that the nations of the world were described as unclean animals (Dan. 7:1-28; Acts 10:9-37). • Second, the instructions by Saul and the edict made by the Council of Jerusalem clearly prove that we are not under the covenant of the Torah of Moses but under the covenant of grace (Acts 15:1-16:5; Col. 2:8-23; Eph. 2:11-22; Rom. 6:14-15; Gal. 3:10, 23-25, 5:18). Only four of the dogmasin (decrees) found in the Torah of Moses are still applicable, and none of these included a restriction against unclean meat (Acts 15:20-21, 23-29). To the contrary, all other dogmasin, which would include the dietary rules, have been dismissed. Likewise, the messiah and his apostles taught that it was not food that defiles a man but the thoughts of his innermost self. These facts clearly support the idea that those under grace are not required to eat only clean food, no matter how healthy it is, in order to obtain salvation. Neither does it command that they eat unclean food. However, it should also be noted that, according to Scriptures, only clean offerings and sacrifices are to be presented to Yahweh therefore it would not be acceptable to provide unclean meat/food on a Sabbath or Festival Day because of the meaning it entails which is the partaking of clean knowledge. The four dogmasin only allow the followers of Yahweh to enjoy whatever food their appetites desire as long as it is blessed to Yahweh and does not offend those eating with them. The context, therefore, is that Yahweh had spread out his hands to Israel, but the Israelites were a rebellious people and, though they heard the report, they closed their eyes and ears to it. As a result, the message was sent to another people, those not making inquiry, that is, a people formed out of the nations (note the parable in Matt. 22:1-14). Saul is in fact using this very prophecy from Isaiah to confirm his own mission to go to the nations. On more than one occasion, Saul rejected the Jews because they refused to hear the message about the messiah and went to the nations instead (e.g., Acts 13:44-51, 18:4-7). Nevertheless, Yahweh has not rejected all of Israel, for there remains those of Israel who do trust—these are the elect of grace. What was their crime? To begin with, they say, “Draw near to yourself, do not come near to me, for I am more sacred than you.” Therefore, they are a prideful and arrogant lot. Along with this, Yahweh tells them that they “continually provoke me upon my face, sacrificing in gardens and burning incense upon the bricks.” These are acts of idolatry and pagan worship. Yahweh, therefore, was angry because they were a rebellious people breaking the ten commandments. These actions were also the acts of the pagan religions. Because of such customs among the nations, the symbolism of unclean food was later used by Yahushua the messiah to describe the nations to Keph. The point here is not that the Israelites were just eating swine’s flesh but that they were sacrificing and eating swine as part of a pagan cult! They were practicing this form of demon worship against their agreement with Yahweh not to bow down or serve other eloahim and while they themselves were under the Torah of Moses and its works which forbade eating swine’s flesh! Sacrificing pigs and then feasting upon their flesh was a custom of pagan Baal worship. In fact, the Israelites were heavily chastised for following the Baal religion while claiming to be following Yahweh (e.g., Judg. 2:11, 13, 3:7, 8:33, 10:10; 1 Sam. 12:10; 1 Kings 16:31-32, 18:18; Jer. 11:13, 17, 12:16, 23:1-40; etc.). The metaphor used in this above verse from Isaiah is connected with the scriptural use of clean and unclean foods to represent clean and unclean knowledge. It must be remembered, all those under the Torah of Moses are under a curse (Gal. 3:10-13). It was the very people who claimed to be following Yahweh while under the works of the Torah of Moses that rebelled and fell into pagan practices. But the people who shall obey Yahweh are the elect of the Israelites and the elect of the nations under grace (the latter having not originally sought after Yahweh but to whom Yahweh made himself known). Those who failed under the works of the Torah of Moses are not the elect of Yahweh; but those under grace, both of Israel and the nations, are the true Yahwehists. The symbolism of those “who sit among graves and sleep in the watch towers” (Moffatt has “pass the night in vaults”; the New Jerusalem Bible has “spending the night in dark corners”; and the Amplified Bible has “lodge among the secret places [or caves where familiar spirits were thought to dwell]”) “eating the flesh of swine and a broth of unclean things in their pots” is a reference to pagan idol and demon worship. The key to understanding the passage in Isaiah is to consider the swine eating incident in context: These Israelites were not just eating swine’s flesh, they were doing so while stationed in graveyards or concealed quarters in order to worship demons. This statement is not a condemnation against those under grace, who sanctify their meat to Yahweh, for as Saul writes, “because every creature of Yahweh is good, and nothing is to be rejected after being received with thanksgiving; for it is made sacred by Yahweh’s word and conversation with him” (1 Tim., 4:1-5). The passage condemns Baal worship and rebellion against Yahweh by following after pagan religions and following other eloahim. Worse, the Israelites were doing so while under a covenant, the Torah of Moses, that forbade them to eat swine’s flesh! Is it actually possible that Scriptures teach that people who are not under the works of the Torah of Moses will lose their salvation because of the food they eat? Would a person be condemned to lose his salvation if his family was lost in the wilderness and starving and the only thing he could find for a meal to keep everyone alive was a rabbit? One must carefully consider judgment on the matter and not be swayed by those who wish to bring one back under the Torah of Moses and its works, for no man is justified under the works of the Torah. Those who hold to this view only wish to make others their followers and compel these burdens for their own glory (Gal. 6:13). Yet, as Scriptures prove, this burden was even too heavy for the ancient Israelites to bear and they all failed. Let us conclude with a few comments. You cannot pick and choose which statutes are applicable for salvation. Only Yahweh can do that. Neither can we condemn what Yahweh does not condemn. The dietary rules found in Scriptures, as well as fleshly circumcision and other cleanliness statutes, are excellent to practice, possessing great health benefits. Their symbolism for taking in clean knowledge is also beneficial as a teaching tool. As Scriptures states, if a man does these things “he will live” and it will be well with him (Ezek. 20:1-25). It is important to recognize, as stated earlier, that only clean offerings are to be brought before Yahweh therefore unclean meats/food should not be presented on a Sabbath or Feast Day. But, conversely, one cannot condemn or judge others because they eat unclean meat when Yahweh will not support this attitude. We must be careful of judging others in this regard, for by our own judgments we will be judged. When all of the relevant passages from Scriptures are examined, they all point to the fact that the dietary regulations (just as with fleshly circumcision) were not part of the Abrahamic Covenants of Promise (Torah of Trust) and were not necessary for either Abraham’s or our salvation. What really is important for everyone today is the keeping of the Torah of Trust which encompasses works of the ruach (good works) which Abraham kept by trust (i.e., eternal commandments, laws and statutes) and not the works of the flesh as listed in the written Torah of Moses (the Law, Old Covenant) excepting of course for the four dogmasin not adverse to us. It is recognized that those parts of the written Torah of Moses, not included in the Abrahamic Covenants of Promise (Torah of Trust) and not actually required for salvation, can be useful for guiding us to a more healthy physical well-being. The Torah of Moses is meant to teach us. Additionally, and more specifically, it informs us of what sin is. It is just a matter of being able to recognize and distinguish between those parts of the written Torah of Moses that were ”nailed to the stake“ and those which are still valid for salvation of which are contained in the Torah of Trust. Indeed, why place burdens on the followers of Yahweh that the ancient Israelites were unable to bear? There are some things in them hard to understand, which the ignorant and unstable twist to their own destruction, as they do the other scriptures. (2 Pet. 3:15-16). It is not surprising, therefore, that Saul has been so misunderstood by so many in his effort to communicate the dynamics of the Abrahamic Covenants of Promise (Torah of Trust), the inheritance, and the written Torah of Moses (the Law, Old Covenant). Saul’s job was not an easy task in the first century and the scriptural concepts are still not easy to explain today. Who was that masked man anyway? This entry was posted on 08/03/2016, 5:02 pm and is filed under Clean & Unclean, Dietary Regulations, Religion, Unclean Foods, Yahshua, Yahushua, Yahweh. You can follow any responses to this entry through RSS 2.0. You can leave a response, or trackback from your own site. I am indeed saddened when I read through your conclusions which may lead those who choose to take your teaching at face value as The Truth. I am amazed at how many times you have stumbled over the very Truth born in the scriptures of Yahuwah’s written Word/Torah/Instructions for Righteous Living and Ruling that you place as standards in the midst of your presentations and how we must discern these simple statements of faith/trust to your own leading, liking and bias. What has Yah said? It is very plainly stated that the sacrifices for sin were not part of the original Torah/Instructions for Righteous Living and Ruling! The sacrifices found in the book of Leviticus and onward were added due to the Torah because of Rebellion to the Original Covent! That original covenant is the 10 Words from our Abba which mandate what is required to be His people (read “bride”). This teaching of Paul explains that the ordinance that stood against us were nailed to the torture stake of MosheYah Yahushua. What were the ordinances that stood against us? Those that were added to the original Covenant because of transgressions against the terms of the Covenant/Torah! The the elements of the original Covenant, them selves, which lay out what is expected of Yah’s people/bride. The penalties implied in the added ordinances to the Covenant/Torah were satisfied with Yahushua’s sacrifice if we, by Faith and in Trust, accept it in place of our own blood or the blood of goats and sheep and turtle doves. Once we accept his mastership over our lives, then we can become re-newed creatures in His sight and without our former sins attached! But if we sin, we have an advocate with Abba who is Faithfull to forgive us our transgressions against the Covenant/Torah if we repent/stop breaking the Covenant! How many times? 7? 70 times 7 Yahushua replied, when inquired of how merciful we should be in regards to those who sin against us. “You shall not make for yourself a graven image, or any likeness that is in heaven above, or that is in the earth beneath, or that is in the water under the earth: you shall not bow down to them, or serve them; for I Yahuwah your Elohim am a jealous El, visiting the iniquity/Torahlessness of the fathers upon the children to the third and fourth generation of those that hate me, and showing mercy(grace, favor, unmerited kindness) to thousands of them that love me and keep my commandments/Torah/Instructions for Righteous Living and Ruling. Yah hates sin and will repay sin (transgressions of His Torah) unto the third and fourth generation of those, He says, hates Him. But will extend His unmerited grace, mercy and kindness to those who, He says, loves Him and keeps or guards His Torah! There is only one Torah/Covenant and it can be renewed to us if we return to Abba. The so called “old covenant” that is fading away contains the same terms as the “covenant of promise” that was extended to Abraham and the spiritual children of Abraham. The same terms will be written upon our hearts/minds when the re-newed covenant is given and the prophesy is fulfilled. At that time, no man will need to teach his neighbor about Abba because all will know Yahuwah, supernaturally! He will download His Covenant knowledge into man’s own psyche. The tablet of man’s heart will replace the former tablets of stone; first carved by the very hand of Yahuwah and then with Moshe’s own hands, after the first offering at a covenant relationship with Yah was dismissed with the rebellion of the children of Israel at Moshe’s first coming down with the Torah/Instructions for Righteous Living and Ruling. Yahushua himself will write his Marriage Covenant contract on tablets of flesh. This Yah who was mediator of this Covenant was none other than Yahushua himself. The bride groom! The terms of the Covenant constructed a marital contract between the husband and his bride. Yahushua stated that if you will be my people (bride) THEN I will be your Elohim (husband). Vows were exchanged between the contractual parties at mount Sinai. In very short order, rebellion to the contract by the very ones who swore an oath of faith/fidelity/trust with their Elohim/husband reared it’s sinful head and remediation was found to be a necessity because of Yah’s merciful nature and love for His people/bride, so remedy was added to the contract to temporarily fix a growing problem . . . sin or transgression of the marital covenant. I will boldly state that if one cannot see the simplicity found in Paul’s explanation of this law that was added because of transgressions of the original contractual agreement; which is the original Torah/Instructions for Righteous Living and Ruling; then they have need of being taught the rudiments of what is expected of us in regards to what is His expectations toward us! By default, they also are found to be the one’s that Kepha (Peter) addresses in 2 Kepha 3:15-16, as you have touched upon in your closing remarks. Your discernment of the true context of what was debated at the Yahrushalayim Council is also in error. The topic was the minimum standard by which a Pharisaical Yahudite (Jew) could have table fellowship with a gentile. Kepha was rebuked and was in fear of the pharasaical Jews who despised any contact with those of the gentiles/nations, because he was secretly having fellowship with the gentile believers. This is further born out with Kepha’s vision of the sheet that was let down from heaven holding all manner of land dwelling beasts and creeping things. You will notice that the fowls of the air and the fishes and other creatures of the seas were absent from the midst of the sheet! Kepha quickly discerns the meaning and goes in unto a gentile believer’s home and pursues fellowship in MosheYah Yahushua. Prior to this revelation, Kepha’s understanding regarding fellowship with the gentiles (nations) was unwavering in that it was blasphemous and sinful to do so! By the way, Yah’s judgment from the beginning and exemplified in the Torah prevailed at that council. It was nothing new, but had been left off because of the “traditions of the elders” (pharasaism/judaism) which had “made void” or of “no effect” the Torah of Abba. Like Abraham’s example, circumcision of the heart (mind) must come first! The outward sign of what is inside the cup naturally follows with the physical circumcision of the flesh, as exemplified in Abraham’s faithful walk of trust with Yahuwah (he himself was circumcised along with all males within his tribe, home-born and strangers who joined themselves to him, alike). If circumcision or any other pursuit of keeping Yah’s Torah is without the Faith and belief in Yahushua first, then it becomes a pursuit of salvation by works only and is doomed from the beginning in that all flesh have fallen short of the mark Yah has set as the requirement in being perfect. Trust / Faith has always been the prerequisite in starting a meaningful relationship with the Most High Elohim. The mystery of Elohim is Yahushua and Yahuwah, through their Ruah, dwelling within His people. It is Yah that will fulfill the works of the Torah within us by strenthening us to fulfill all that Torah (The Ten Words) requires and not ourselves only! With man nothing is possible. With and through Yah, all things are possible! It is Yahushua’s sacrifice through the shedding of his own blood (and not the blood of bulls and goats and sheep and turtle doves) that cleanses us of all our former sins (read Romans 3:19-30). Pharasaism / Judaism believe’s in the blood of animals in place of their own blood to wash away their sins, because they have been led to believe that sacrifice pleases Elohim. This is also represented in the imperativeness of the Jews demands that the believer’s must first be circumcised as it was held as a required blood self sacrifice to enter into the Covenant of Elohim. Paul is indeed hard to understand if you are not grounded in what is required of us to be in covenant with the Most High Elohim. Shalom and Yahuwah be with those who truly seek His face! Evidently you did not fully understand my response regarding Two Torah’s as expounded in Scriptures. I will try again to get the point across. Second, the Torah that existed from the beginning is referred to as the Torah of Trust. It was a verbal agreement. This verbal Torah of Trust is what Abraham kept and was justified by. We would both agree that the commandments, statutes, and laws contained in this Torah of Trust are considered good for us and not against us. According to Scriptures they are good works. The Abrahamic Covenants of Promise are an extension of the Torah of Trust. Abraham was considered righteous because of his trust. Remember that he was justified before his fleshy circumcision. Later, because of transgressions against the Abrahamic Covenants of Promise, the written Torah of Moses, along with all of its fleshy works, was augmented to the Abrahamic Covenants of Promise/Torah of Trust. We both agree that the written Torah made at Mt. Sinai was a marriage covenant. This marriage agreement was subsequently broken. This resulted in the house of Israel to be divorced by Yahweh and then cast out of the land. Scriptures are very clear regarding two Torahs or Covenants. One is referred to as the Torah of Moses, (Old Covenant, the Law) which was temporary and allowed the nation of Israel to remain on the land as long as they kept their marriage agreement. This temporary marriage covenant (Old Covenant) was broken and, as mentioned before, the house of Israel was cast out of the land. The other Torah is the New Covenant which is an eternal marriage covenant. When it is made the people of Yahweh will dwell eternally on the land per the Abrahamic Covenants of Promise (Torah of Trust). It is most apparent that this has not happened yet. Where I think you might have some confusion regarding what Saul and Scriptures teach about the Torah of Moses (the Law, Old Covenant) is the fact that the Torah of Trust is contained in the Torah of Moses. That is why it was necessary for the Council of Jerusalem to distinguish between the good works (based upon trust) which benefit us and the fleshy works that are against us, both types all being contained in the Torah of Moses. Remember the continual augmentations of fleshy works because of the constant sinning of Israel. Eventually these augmentations contained curses as contained in the book of Deuteronomy. The book of Acts reveals how to distinguish between what is still applicable from the Torah of Moses for attaining salvation and eternal life. In other words the eternal laws, commandments and statutes (all being good works) as contained in the Torah of Moses were and are still valid for everyone to this day. All other fleshy works which are contained in the Torah of Moses are not required for salvation. This includes the dietary regulations and fleshy circumcision. This is a complicated subject that requires much more than can be written in this response and again I refer you to Chapters 2-8 of the publication The Festivals and Sacred Days of Yahweh for a comprehensive discussion about The Torah of Moses and the Torah of Trust as expounded in Scriptures. After perusing the chapters I am hopeful you will be able to consider the evidence from Scriptures without any preconceived conclusions. It would be best before any further discussion that you first read the referred chapters. I truly believe that when you read them you will find out that we do in fact have much to agree upon concerning the truth regarding Yahweh’s teaching on The Torah. There has always been one covenant and is summed up by Yahushua when tried by the lawyer of the Torah that the greatest commandment is to Love Yahuwah our Elohim with all of our heart/mind, all of our soul/life and with all of our might/strength. This being a summation being in compliance with the first 4 or 5 (depending on how you look at the 5th command) of the original 10 Words or requirements of one to be in covenant with Yahuwah through His Son, Yahushua as the bride groom. He also further explained that the second greatest commandment was to love your neighbor as your self. This being a summation of the last 5 or 6 of the requirements in the list of the 10. The commands being given in their respective order of importance and weight, in my opinion. In regards to the writings/teachings of Qadesh La Yahweh Press, I found them online many years ago. I found them not to be the difinitive source for discernment of Yahuwah’s Words. Yah’s Ruah is the only medium by which we can discern all Truth from Abba, as demonstrated by the Words of Yahuwah. If you would like, I can closely quote Yahuwah from His Words which indicate and warn that no man/arm of flesh should be trusted as being the source by which we obtain discernment of Yahuwah’s Truth. That would include both you and I. It is up to each individual who seeks a relationship with the Most High Yahuwah through His only begotten son, Yahushua, to prove all things and hold fast to that which is proven to be good. Your truth and teaching seems to be based on bias; yours and others, and perhaps misleading translational attempts to bring across Yahuwah’s pure Words. Again, I have thus far found only one covenant to be True from the beginning: If you will be Yahuwah’s People, then Yahuwah will be your Elohim. The 10 elements of this agreement being found in Exodus 20 in the form of 10 Words or instructions for right living and ruling – The Covenant Torah. The allegory found in Abraham’s 2 wives with their 2 sons, is a prophecy showing the outcome of the two pursuits of a covenant relationship with Yahuwah: One that is through faith with promise. The other represents man doing it his own way, deceiving himself to believe that he does the work of Elohim. The last example showing that attempt at a covenant relationship is dead already with Yahuwah Himself absent from the agreement/covenant. We are to heed every word spoken by Yahuwah and His sent one, Yahushua ha MosheYah. We are to do all that they say we should do if you want to be found in compliance with their expectations. The 10 Commandments or Torah for right living and ruling are their spoken words to mankind and terms of the covenant relationship ordained from the beginning. They are broken down for us in the statutes which show us examples of how to keep the 10 (or 2 depending on how you summarize). Penalties were added because of transgression of the 10 (2) and were given in the form of ordinances that were placed in addition to the Torah, because of Yah’s mercy. He will have compassion on whomever he wills it. It is a fearful thing to fall into the hands of a living Elohim! As for me and my house, we will serve and obey Yahuwah and not men. Masked man, I sincerely want nothing more but for all that truly desire Yah’s discernment and that seek it with their whole heart/mind to be given exactly that! It is my sincere prayer that our conversation about this very important topic of discussion might be valuable for those who might consider our dialogue and further their learning of how to rightly divide the Words of our dear Creator, Abba, Husband, Big Brother. Iron does indeed sharpen iron! You might also re-consider being identified as one that wears a mask. Culturally speaking, only terrorists and criminals wear masks. Of course, the removing of that mask would have to be an outward sign of a change in heart/mind. First of all, you seemed to have missed reading the scriptural guidelines of attaining the knowledge of Yahweh’ s word as given by Qadesh La Yahweh Press. Qadesh La Yahweh Press is a non-profit publisher whose purpose is to provide information to the serious student of scriptural and historical studies. Notice that the purpose is to provide information to the “serious student” of scriptural and historical studies. A “serious student” would look at all of the evidence along with comparing it with Scriptures first before judging it to be false. You have admitted previously that the Torah of Moses was a marriage covenant. This covenant is also referred to as the Old Covenant and The Law. Scriptures are quite explicit. There are two Covenants or Torahs! Old Covenant (Torah of Moses) and New Covenant (Torah of Trust). When you have taken a serious look at the evidence from Scriptures and only then, please feel free to contact me. By the way, I consider it an honor to be condemned by you as a terrorist and a criminal. I believe Yahushua the messiah, sans mask, was accused of the same thing by the religious leaders before he was put to death. Thank you, Ranger, for pointing out what has been “nailed to the stake” and no longer required for salvation. 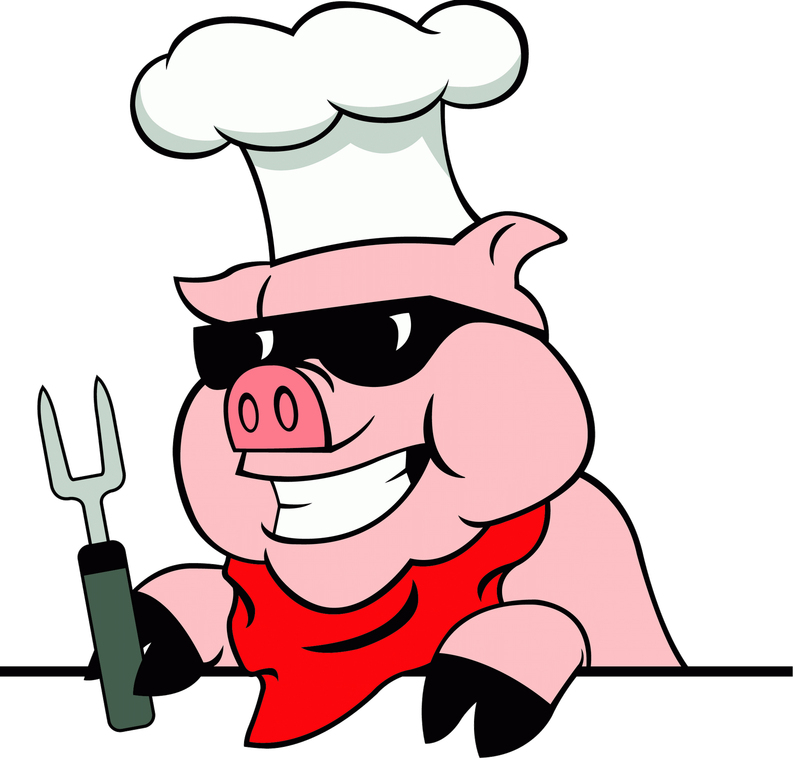 Although I don’t eat pork, I realize a brother or sister in the assembly may without condemnation. Keep your mask, Ranger. Sometimes the masked man is a good guy. Thanks so much to you for your three-part study on the clean and unclean. From what I can see now, it goes with the Scriptures and what is taught. I remember back when it took me time to understand this because I had things twisted in my mind from past studies from the Church of God, International, then from other sacred name group writers. Funny how things can get twisted up from various people. They mean well, I’m sure, but they don’t understand the study of Scriptures in how it’s laid out for us. Anyway, once I sit down and told myself this, Just listen to what is being said, study it, prove whether it’s true or not, and try to rid your mind of teachings that are simply the untruth, at that time did I begin to see that the Scriptures say what they say and mean it, the truth! I do love your site and read your writings all the time just to refresh myself from what I have learned in the past. When I think of Yahu Ranger, makes me think of that old series called The Lone Ranger, who fought against criminals and upheld justice. I’d have to refresh myself on those shows. But when I think of you being a masked man, I have a theory to myself. I think of it as a person who fights for the truth, puts out the evidence and allows the evidence to lead where it may. It’s like saying, I’m not that’s the important one, the EVIDENCE is of extreme importance. Look at the evidence! Then, on the other hand, I also think of feeling like a Lone Ranger sometimes being a Yahwehist because we are scattered, although I know I’m not. Take care & Yahweh be with you, Yahu Ranger! Yahweh be with you. Please continue with your posts.